When I buy something, I like to use it. I’m up to four 9mm pistols at this point and I’m going through a process of deciding where each “fits” in my life — or whether to sell one of them. I’ve parked the H&K in my bedroom. It’s the only gun I have with night sights. When I bought the 1911 it replaced the XD9 as my competition gun (for now). I tried putting the XD9 in the car, but I wanted it in the center console. It’s too big. I can’t really reach the glove box quickly but I can pop the center console and access items next to me fast. So the XD9 went back in my range bag as a back up competition gun. 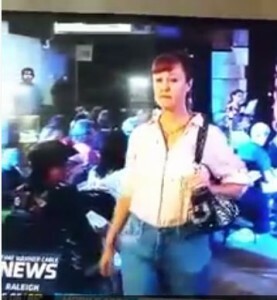 I have a CCW but I haven’t gotten comfortable carrying a loaded gun on my body outside of the range or competitions. So I decided my next baby step would be to carry in the car. 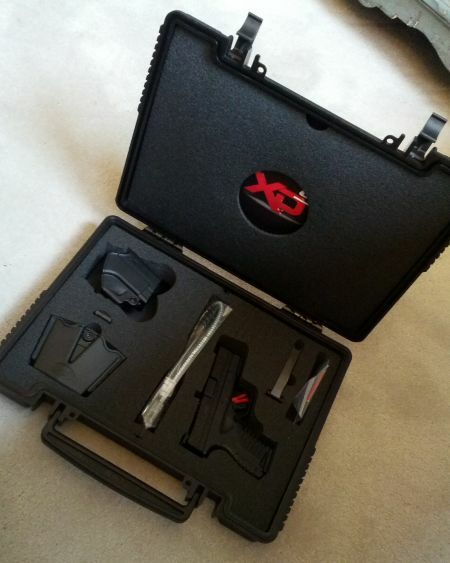 If you’ve been reading you know I bought the XDS in 9mm. It’s a perfect fit for the glove box. I took the holster that came with the gun and attached it to a heavy CD case (metallic blue with a zipper in the photo) using a rubber band in order to test out the concept. The holster keeps the gun upright and centered. The CD case keeps the holster in place when I draw the gun. I practice drawing at least once a day now and I’m happy with this system. I just want to find something more reliable than a rubber band to make it work. The next time I’m at The Range and it’s fairly empty and dry, I will try driving my car out into a bay and practice a S L O W draw with a transition to shoot through the driver’s window and or passenger window. 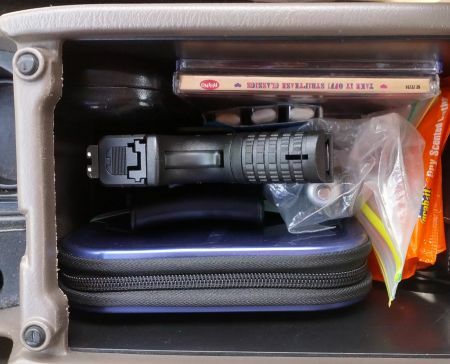 Do you carry in your car? Why or why not? Do you leave the gun in the car full time or remove it once you are home? I have many conversations with shooters but never with a consistent mentor and this is the kind of thing I will figure out on my own, but would really like pointers.